Yoga Vidya Gurukul was founded in 1978 by Yogacharya Dr Vishwas Mandlik as a non-profit organization. 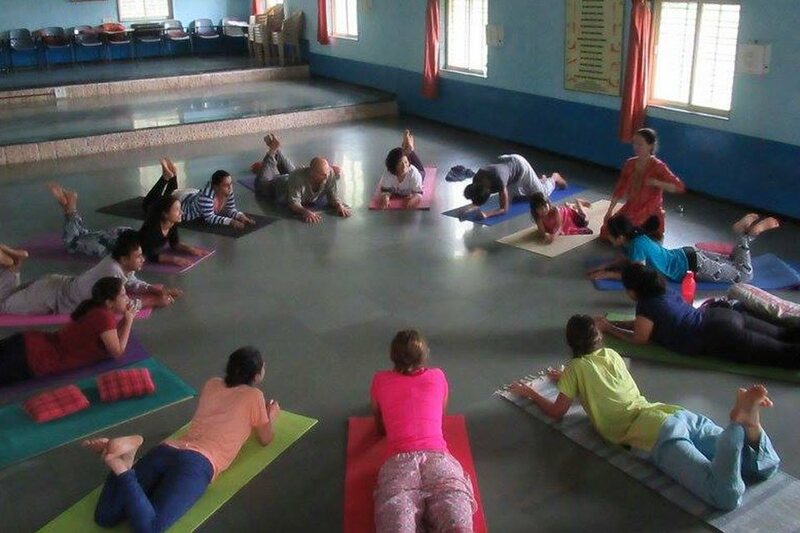 Our organization is following traditional yoga which is the authentic form of yoga focusing on life style and based on Ashtanga yoga, Hatha yoga, Karma yoga, Bhakti yoga, Jnana yoga. We have been conducting Yoga teacher training programs since 1983. 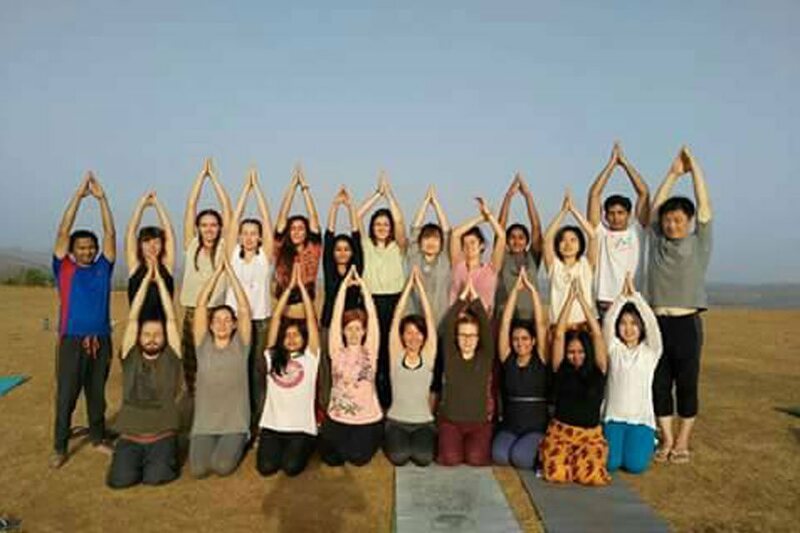 We have more than 18000 yoga teachers in India, 4500 yoga teachers in foreign countries and more than 300,000 yoga students all over the world. 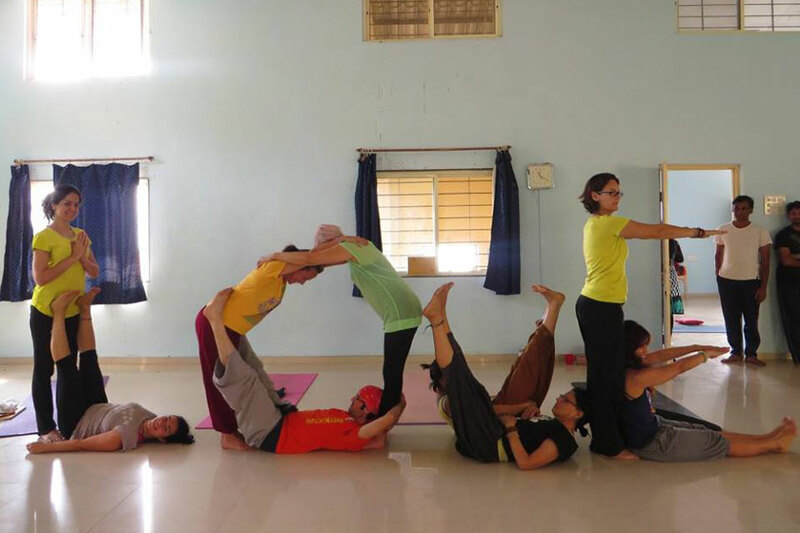 This teacher training program is holistic in approach which covers all aspects of yoga lifestyle. Based on ancient teachings, ashram experience is life transforming which brings positivity to the everyone. This program is suitable for beginners, or intermediate yoga practitioners or even advance practitioners who want to learn teaching methods and understand deeper scientific aspects of yoga practices such as asanas, pranayama, meditation, life style. This program is open to current yoga teachers, school teachers, child care workers or anyone interested in deepening their understanding of child development and yoga. Some experience with yoga is highly recommended. Parents with children are also welcome to bring their children along to join in the experience of ashram life and to learn yoga. Teaching methodology including how to structure and create your own lesson plan for a kids yoga class. Practical information for teaching to children including asanas, pranayama, games, songs, partner poses, guided visualizations, stories, relaxation and more. Course book contains detailed descriptions of all these components, their benefits and how to use them in a class. The program is recognized by the Indian Government (Government of India). 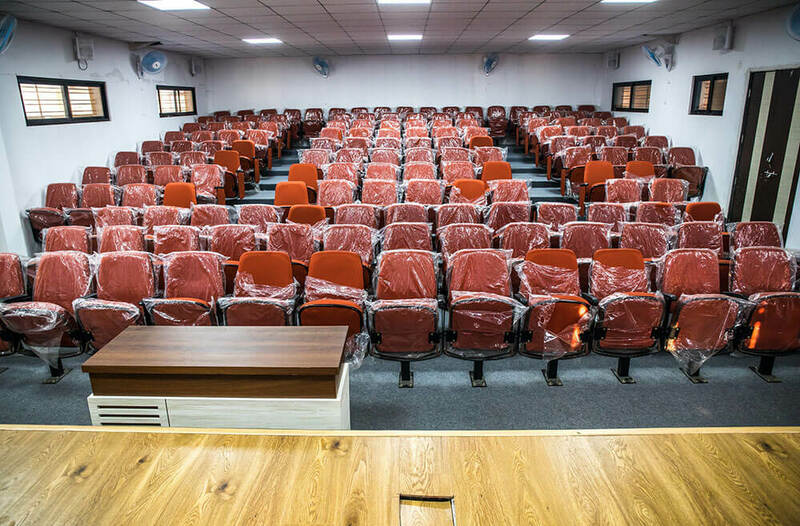 Yoga Vidya Gurukul is affiliated to YCMOU (A Government of India University) to run the Diploma courses in Yoga. Yoga Vidya Gurukul is recognized as Yoga & Yoga therapy research organization by University of Pune (A Government of India University). Certification to the successful student entitles them to teach in any part of the world. Many insurance companies all over the world have been providing liability & professional indemnity insurance to our students who complete the Yoga teacher training program, as the student becomes a member of Yogapoint teacher association of Yoga Vidya Gurukul after completing the course. There is NO extra membership fee for becoming the member. 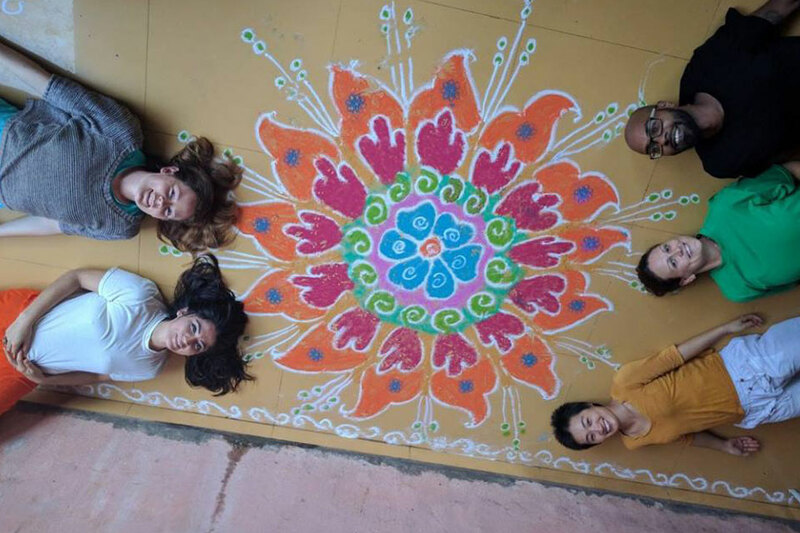 Currently (as on June 2012) Yogapoint teacher association has more than 2150 teachers out of india and more than 16000 teachers in India. Total Fees -USD $ 475 (300 + 125 + 50) Other currencies like EURO € or Pound Sterling £ will be as per exchange rate of the day. For Foreign Nationals only - On arrival the pick up from Mumbai airport to Nasik ashram is complimentary. Note - Foreign currency exchange is available at request. 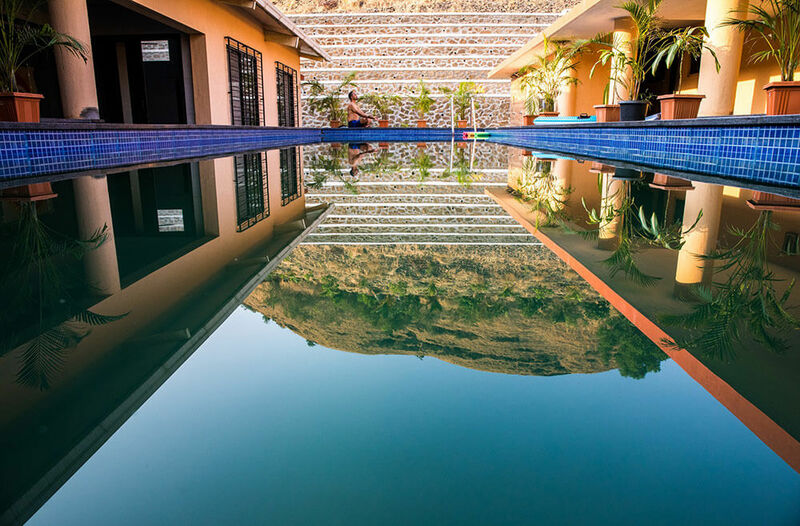 Nasik is about 1800 Ft or 580 metres above sea level. Regular Trains, Bus service and Taxi services are available to reach Nasik. We can also provide an airport pickup service directly to our ashram. Click for more details. For information about the Teacher training course, you may contact our affiliated centres and ask about the feedback and other enquiries. Click here to contact. Before applying please read the following articles on Asana and the style of yoga we teach. We teach as per the traditional Indian Style of Yoga, according to the classical books of Hatha Yoga Pradipika and Ashtanga Yoga based on Patanjali Yoga Sutras. This course is for beginners who want to learn and teach in a way which is as per the Hatha & Ashtanga yoga traditions. This course covers Yoga from basic to advanced techniques from the classical texts of Hatha Yoga and Ashtanga Yoga. (Hatha Pradipika & Patanjal Yoga Sutras.) Yoga philosophy, education, yoga therapy are subject of study, research dedication. 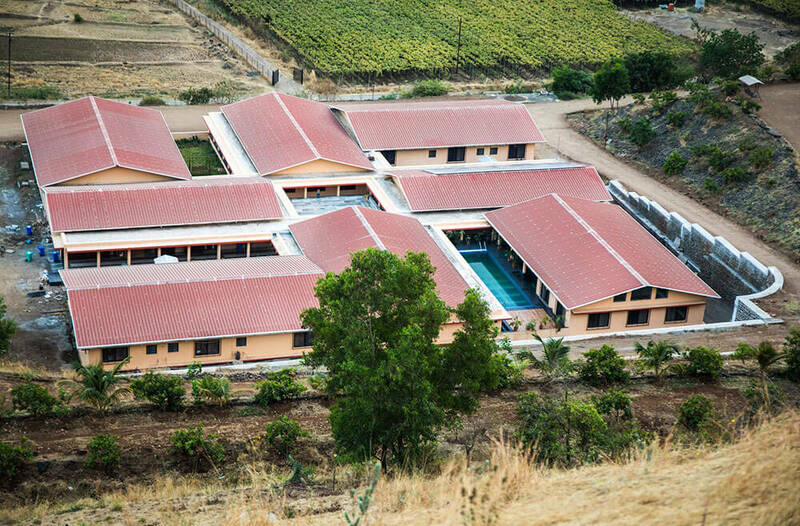 Yoga Vidya Gurukul has been operational since the last 40 years in various parts of India and abroad. 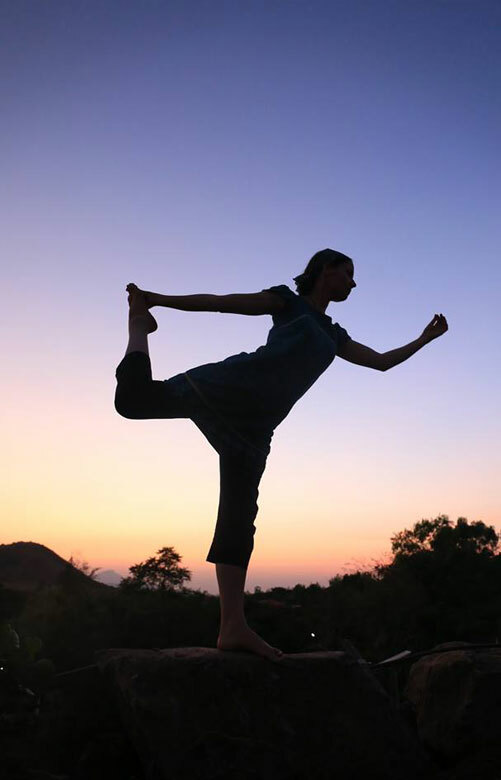 We run 2 Yoga therapy hospitals and 12 yoga therapy out patient clinics. The experience gathered during these years helps students. 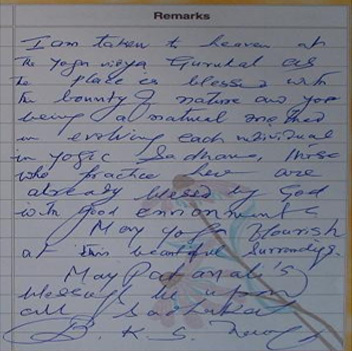 On 21st September 2008, BKS Iyengar visited Yoga Vidya Gurukul ashram in Trimbak, and addressed the Yoga teachers and students attending Yoga teacher training course and talked on his own experiences and various Yoga Sutras of Patanjali, he enlightened the students with his great guidance on the Yogic path..
"I am taken to heaven at Yoga Vidya Gurukul as the place is blessed with the bounty of nature and yoga being a natural method in evolving each individual in yogic sadhana, those who practice here are already blessed by God with good environment. May yoga flourish in these beautiful surroundings. May Patanjalis blessings be upon all Sadhakas. 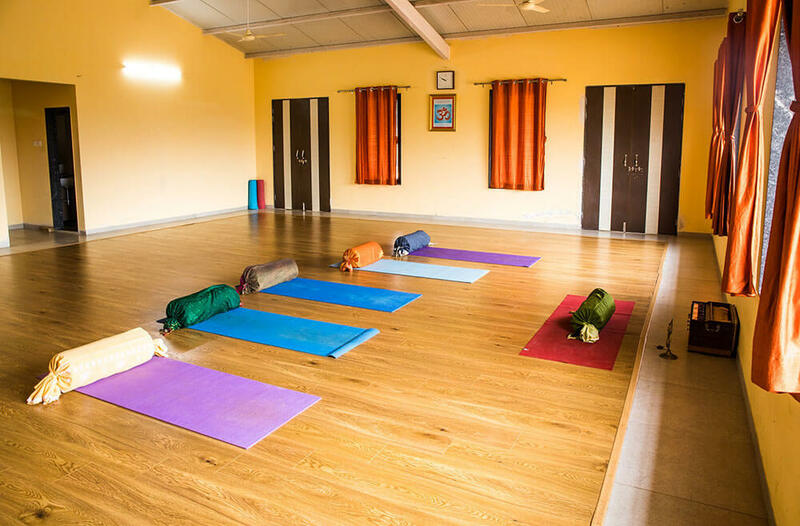 Venue of Course - Vishwa Yoga Darshan is the perfect place for you to practice yoga and live healthy life style. 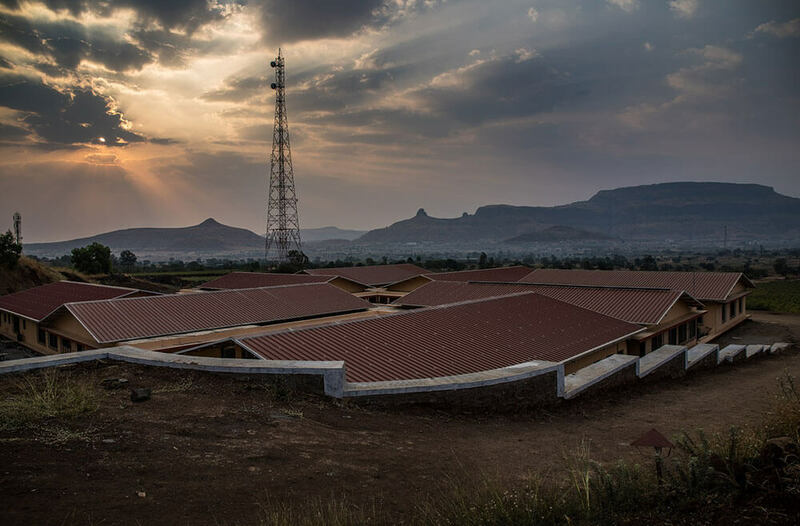 It is situated in the mountain range of Sahyadri. 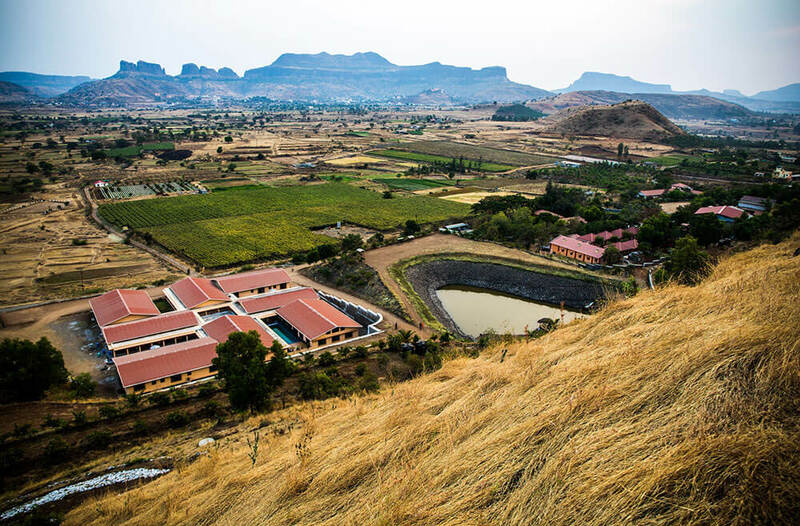 The ashram is surrounded by fascinating landscapes and natural beauty. 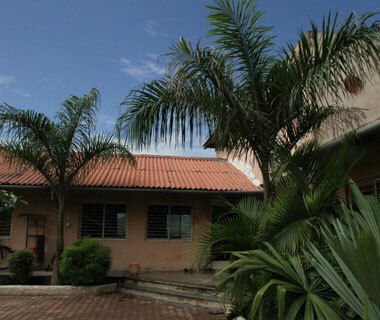 It is an ideal location away from the city and stressful modern life. 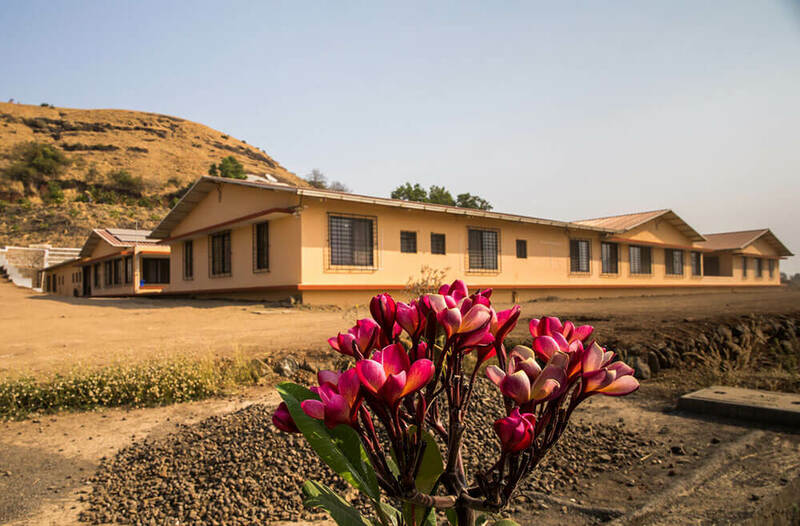 The new ashram has become popular as it offers a stress free Yoga lifestyle in a natural environment. The ashram is in the vicinity of Lord Trimbakeshwara, one of the 12 most important and auspicious Shiva Temples in India. Lord Shiva is the origin of Yoga Tradition and this makes the location of the ashram more significant. Millions of devotees visit the Shiva temple annually. The surrounding mountains are considered heaven for Yogis, allowing them to perform Yoga & Mediation practices. 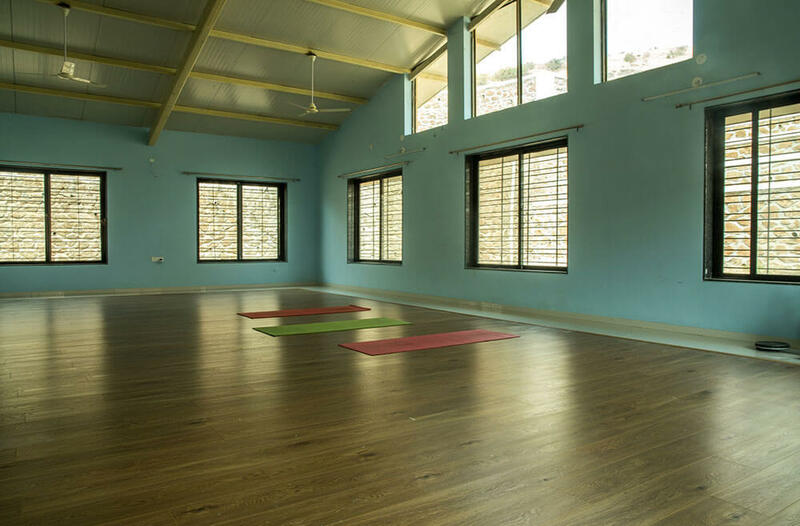 Yoga & Meditation facilities, medical facilities including emergency services are also provided. Herbal treatment to various problems is also provided to the students. 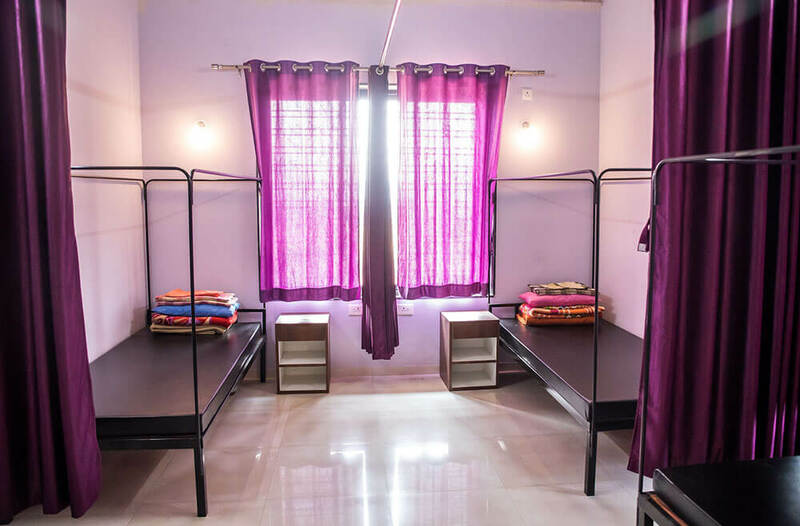 The ashram provides lodging facilities to students. 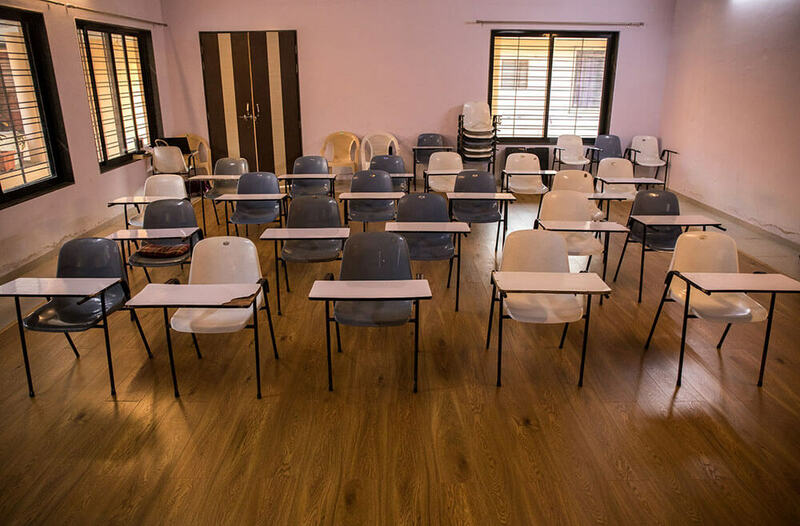 A student is provided with an independent section in a room. Every room has 2/ 3 /4 beds. 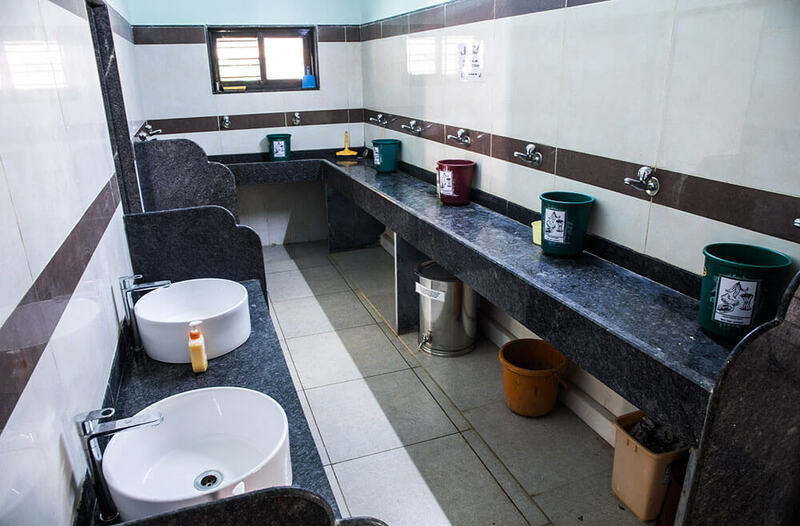 A bed, mattress, blankets, sheets, pillow and mosquito nets are also provided, the room is self contained with an attached toilet block. Hot water is available for 24 hours in every bathroom. A clean drinking water from Ashram water reservoir is available which is filtered in the ashram with out use of chemicals. An independent wardrobe with a locker with key is provided to every student. 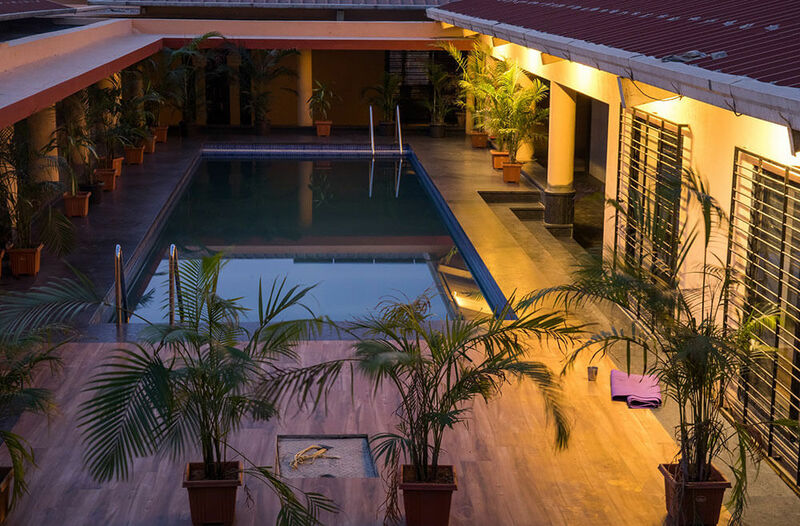 Ayurveda spa which provides treatments such as massage, shirodhara, pancha karma, detox treatments is available at extra cost. 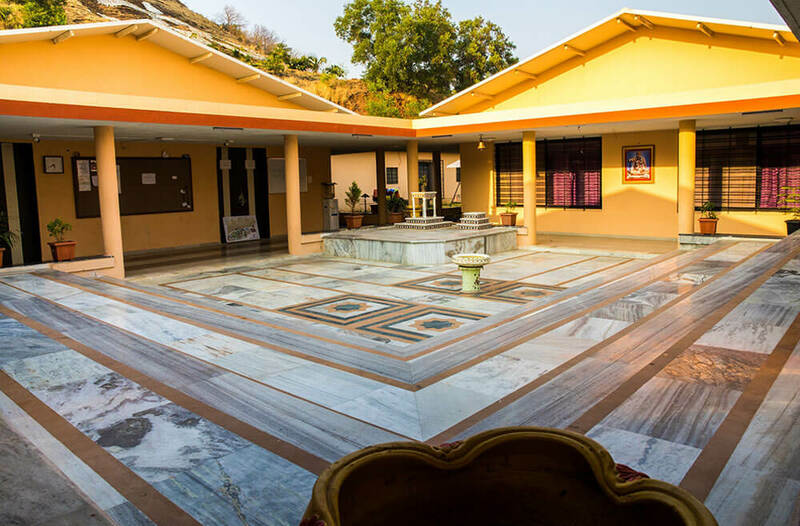 Ashram is 25 acres of land on the hill, so many walking pathways are there for nature walk. 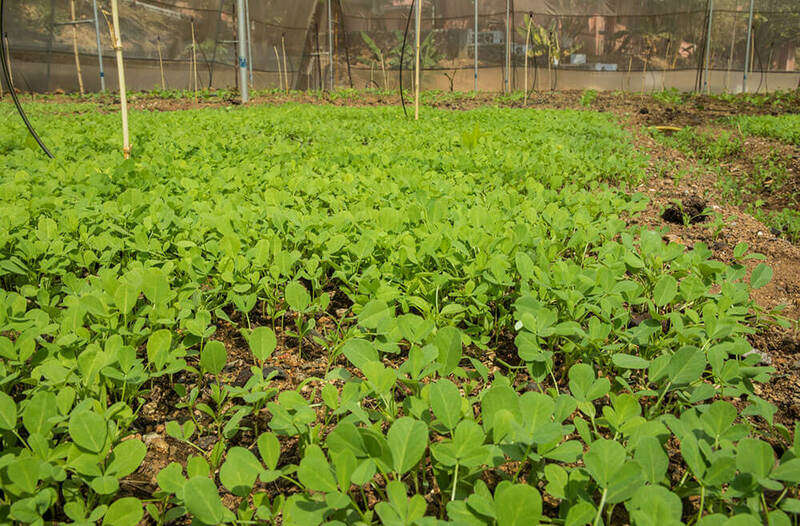 An organic garden provides many vegetables and fruits for participants. Clean and simple arrangements are provided. Note - Staying arrangements for Ladies and Gents are different. The Kitchen serves pure organic vegetarian food in accordance with the yogic life style. The food is non spicy, non oily, rich in raw vegetables, and low in fat.. 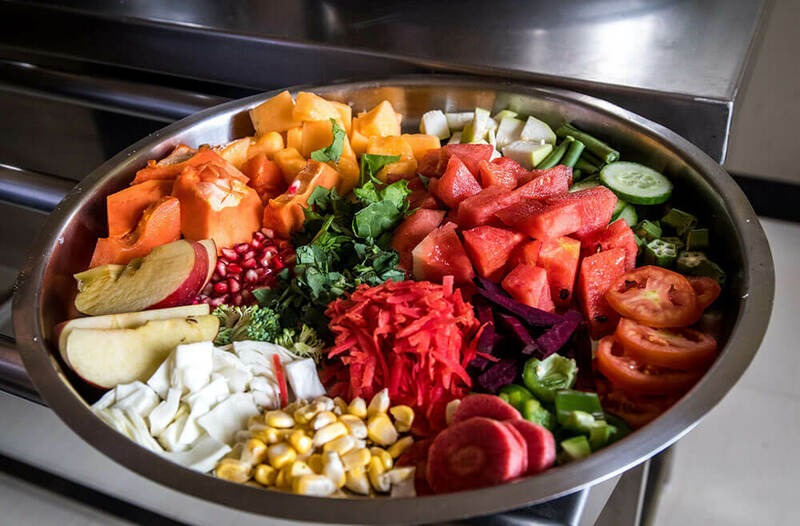 The daily diet consists of various seasonal fruits and vegetables, lentils, various beans, whole wheat and whole grains, oats, rice, fresh organic soya milk and organic cow milk. Herbal drinks are provided instead of tea and coffee. Ayurveda herbs help strengthen various systems in the body and increase strength and efficiency. 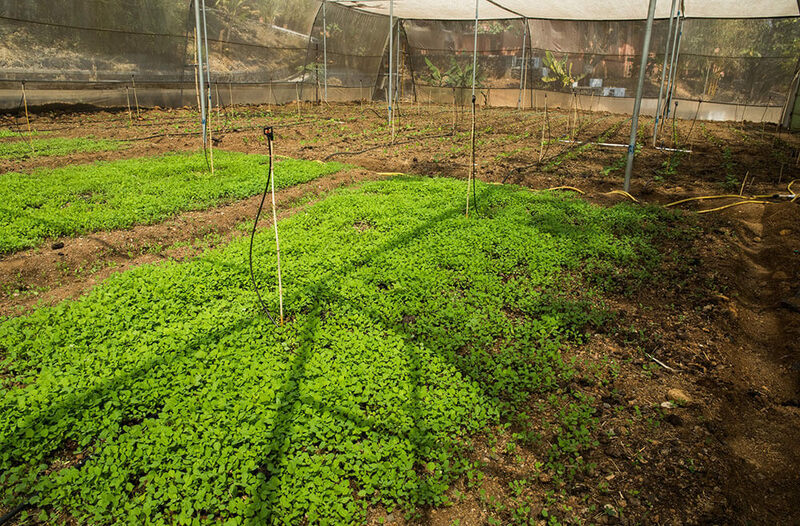 The food supplied is strictly organic and minimally processed. We place great emphasis on maintaining a highly nutritional and balanced diet. The diet is suitable for all, however if a student has any allergies or problems then their needs will be catered for to the best of availability. Water - We provide mineral / purified water to all our students for drinking purposes. Note - Complete silence is maintained in the dining room during the meals. A good collection of books in the library is a valuable resource to aspiring Yoga students. It includes various books on Yoga, Meditation, Tantra, Vedas, Upanishadas, Indian philosophies, Ayurveda, naturopathy etc. Personal guidance for medical problems using Yoga Techniques, Herbals and Ayurveda techniques is available for all the students. 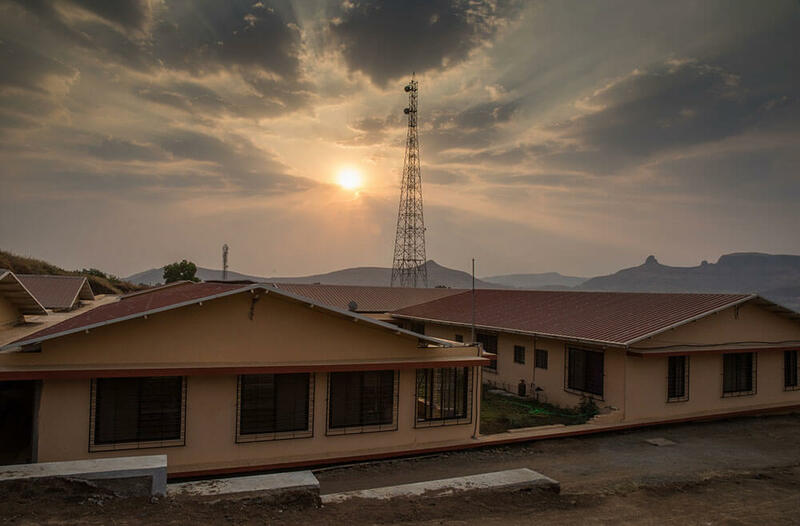 Note - We do not have Internet facility in the ashram. 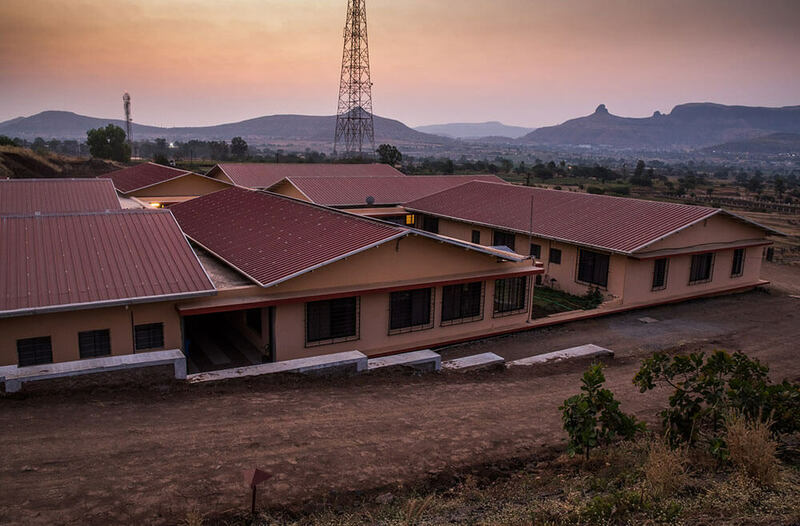 Internet is available in Nasik city, on the weekly off when students can go to town. Internet is available on cell phones and other wireless internet devices as there is reception of all cell / mobile phone companies. Please refer to the FAQ page if you have any further questions. Clothing - Loose & comfortable clothes for summer & warm ones for winter. Note - You are kindly requested to wear T-shirts / shirts covering the shoulders and long pants below the knees. Photos - 4 passport size photos & 4 photocopies of your passport and Indian visa. Valuables - You can bring valuables at YOUR OWN RISK. A laptop may be useful but we are not responsible for any loss or damages. Lockers are supplied where you can keep your valuables safely. The Ashram has its own secutiry service. Yoga Mats - Please bring your own mats. You can buy mats in the shop. Also Ashram can provide mats at No extra cost. Miscellaneous - Your own medicines & personal toileteries. Please note that you are entering an Yoga Ashram, which is a new experience. The rules should be followed so as to get the maximum benefit of this environment and make your experience more enjoyable. Yoga is a discipline of body, mind and spirit. Keeping in view, the rules and regulations are made to enhance the quality of the mind. They are a part of the Yogic lifestyle. After the admission, participants cannot leave the campus (except for 1 weekly off). In case of emergency, written permission from the Course Coordinator is required. No friends or relatives are allowed to stay with the participants without any prior permission. 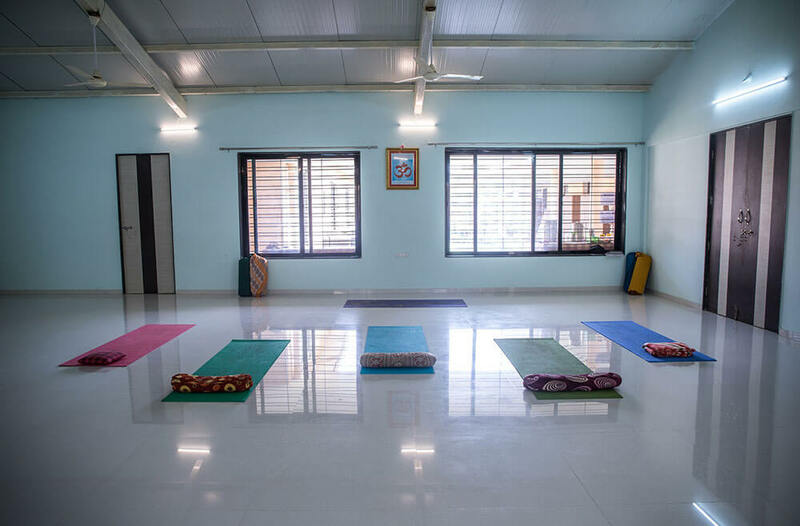 For getting the best results from the practice of yoga, the course schedule and diet is specifically organised; the participants are requested to adjust to this environment as quickly as possible. Participants must follow the timetable and attend all sessions, lectures and other activities. Please don't bring valuables, if necessary Yoga Vidya Dham can keep them safely for you during the course. You can bring your medicines and continue personal treatment but it is advisable to inform the medical officer or your class teacher about your ailment & treatment. In the case of major health problems initial treatment will be provided by the medical officer. Any further treatment required during the course will have to be managed from external medical experts on your own. Necessary food arrangements are made in the institute and no external food is allowed. The food in the institute is strictly vegetarian. To experience the good effects of the Yogic lifestyle please do not have anything from outside to eat. There is complete silence during the meals. Seva Yoga / Karma Yoga is practiced for 1 hour a day. Course Coordinator reserves the right to enforce any other necessary rules as well as the above rules. 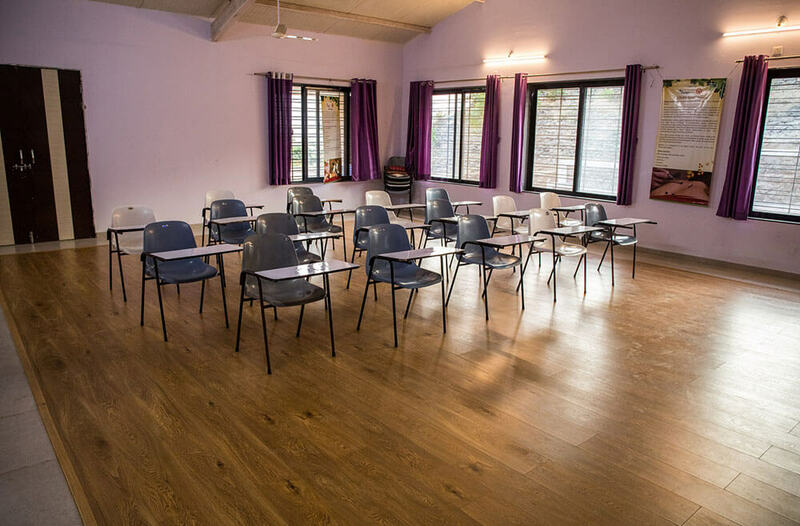 Yoga education is a subject of research and require years of experience, Yoga Vidya Gurukul has been operational since last 28 years in various parts of India and abroad. We are successfully running 3 Yoga & Naturopathy Therapy centers for last 28 years and successfully treated more than 25000 patients suffering from various diseases. How to Register / How to Apply? You can fill up the registration form by clicking the link next to the course date. If you can not find the form then please send email to yoga@yogapoint.com or yogapoint108@gmail.com. After acceptance of the form, you will be asked to pay a registration fee (Non refundable). The remaining fee can be deposited when the student comes for the course. Yoga Vidya Gurukul was founded in 1978 by Yogacharya Vishwas Mandlik and since then we are functioning as a non-profit organization. We are inspired and guided by our spiritual master Swami Satyananda of Bihar school of yoga. We are present in most of the states (Maharashtra, Goa, Karnataka, Assam and Madhya Pradesh) in India with our Centers and branches. We have recognized centers to conduct Teacher Training Courses in Thailand and Singapore. Various Yoga therapy courses and treatment courses for diseases such as back problems, sciatica, slipped disc, diabetes, hypertension, heart problems, digestive diseases, gynecological problems, arthritis, multiple sclerosis, cancer, anxiety, depression and many more health conditions. We teach different types of yoga such as Ashtanga yoga, hatha yoga, karma yoga, bhakti yoga, jnana yoga, tantras, yoga philosophy, asana, pranayama, cleansing and so on. This Spiritual tradition was founded by Adi Shankaracharya (Yoga Master and Guru). This great tradition was introduced by Swami Sivananda in 19th and 20th century, Swami Satyananda is the disciple of Swami Sivananda. Swami Niranjananda is the successor of Swami Satyananda and is our inspiration and guru. We follow him and teach Indian Traditional Yoga, which is a synthesis of Ashtanga yoga, Hatha Yoga, Karma yoga, Bhakti Yoga, Jnana Yoga and is based on ancient texts of Patanjali's Yoga Sutras (ashtanga), Hatha Yoga Pradipika, Gherand Samhita, Bhagvad Gita, Upnishadas, Vedas and Tantra. To spread yoga in its true form for helping all of society, without barriers. To promote the yogic way of life and healthy lifestyle in tune with nature. To help those in need as 'Seva' the selfless service. Regular Trains, Bus Service and Taxi services are available to reach Nasik. We can also provide an airport pickup service directly to our ashram.